A couple years ago I posted this blog post that paired a homemade wine advent calendar (not the $99 one you buy with half bottles at Cooper’s Hawk) with a date idea. Well, I wanted to edit the nightly activities a little so that even single people could get in on the fun. We can all have fun drinking wine and getting in the holiday spirit. All bottles will have the date you are supposed to drink them and also have a small activity or date night to go with it. So open a bottle of wine and see where it takes you. 24 Days – Melt some white chocolate chips, pop some popcorn and combine for a perfect snack to enjoy while watching a Christmas movie. 23 Days- Do not wait until the last minute, get those Christmas cards out!E-Cards count this year since we are all so attached to our phones. 22 Days- Make a Sangria with the wine of the night! 21 Days- Holiday Food Showdown! Pick your favorite holiday dish and challenge your partner to a competition to see who can make it the best. This is a great event to do with a friend if you do not have a significant other. 20 Days- Put on some holiday music, pour some glasses of wine and make dinner together. 19 Days- How well do you know your wine? Create a mini blind wine tasting to see who can name the most wines. Take three bottles of wine and put them in paper bags so no one knows which one is which. 18 Days- Pour some wine and grab your favorite board game for a night of competition. A couple of our favorites include Catan and Phase 10. This would be a great night to invite over a group of friends! More wine. 17 Days- Pick up one of the gingerbread houses or villages from the store and spend the night decorating. 16 Days- Make some cinnamon rolls for breakfast and pair it with a Riesling or Ice Wine. 15 Days- Monday is Movie Night! Surprise your spouse with your favorite Christmas movie. 14 Days- Grab a roll of cookie dough from the store or pull out the family recipe and make some Christmas cookies. We all know cookies pair perfect with a glass of wine. 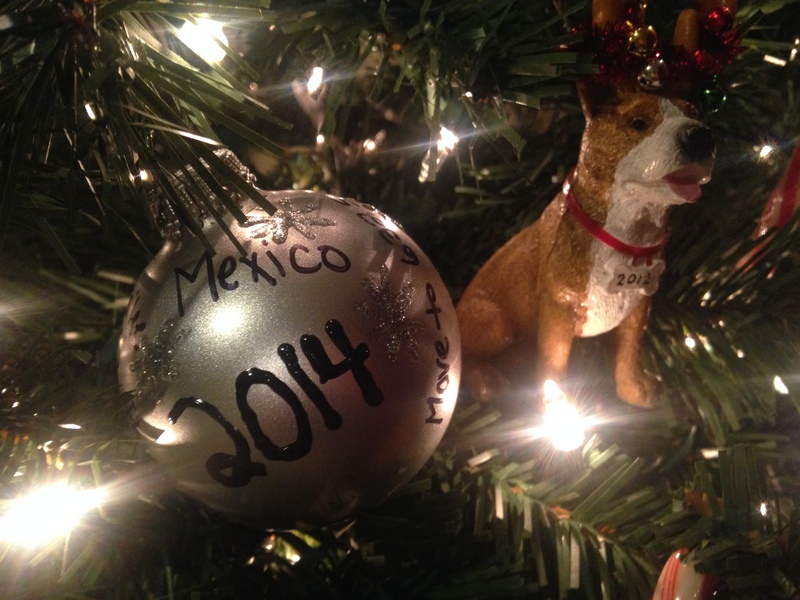 13 Days- Buy some glass ornaments and write your memories for this year. Mike and I started this tradition nine years ago and we love doing this together every year. This is a great tradition to start with the kids or even just yourself. So many little things make up your great year so remember them all. 12 Days- Tonight is the perfect night for some Spiced Wine! Heat it up and pour it in a cute holiday mug. Great excuse to use those boot mugs we all have from Christkindlmarket. 11 Days- Let’s create some popcorn garland for the Christmas tree! 10 Days- Load up the car. We are going to look at all the Christmas Lights and do a scavenger hunt. When you come home warm up with a nice glass of wine. 9 Days- Christmas movie marathon! Stay in your pajamas all day and enjoy some wine. 8 Days- Let’s finish our holiday shopping early. Go shopping as a couple and then celebrate finishing your list with some wine! 6 Days- Put on some holiday music and make a romantic dinner. Make sure it pairs with the wine of the night! 5 Days- Pour a glass of wine and watch a holiday movie on tv. I keep the Hallmark Channel on 24/7 from November 1st through December 25 so that I am always in the holiday spirit. 4 Days- Let’s wrap all the gifts! 2 Days- Fashion show! Let’s try on some outfits and see what we are going to wear tonight and tomorrow. Some of these things will not work for your schedule but you can save them for days that will. The point is to have fun this holiday season. Check out this website to find the closest Illinois winery. This entry was posted in Wine Down Wednesday and tagged Calendar, Christmas, date night, Traveling Murphy, wine, Wine Advent Calendar, wine lover. Bookmark the permalink.